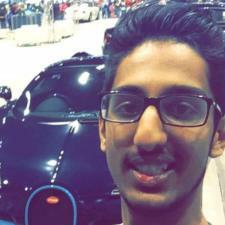 I'm Jash, a junior at the Illinois Institute of Technology who is majoring in Computer Engineering. I have taught over 5 students, during my time in high school, the subjects of Mathematics, Physics, Chemistry and Computer Studies. There is nothing more rewarding than looking at an "A+" on one of your students paper's and I make it a point to ensure that each student understands thoroughly.